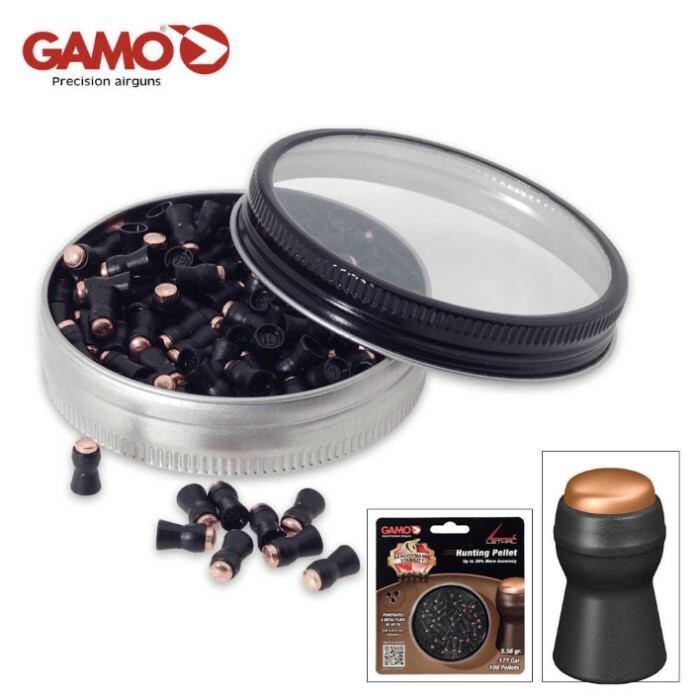 Gamo Lethal .177 Caliber 100 Blister Pack | BUDK.com - Knives & Swords At The Lowest Prices! Achieve professional results with these Lethal .177 caliber hunting pellets from Gamo. They provide up to 38% more accuracy than most competitor pellets, with a symmetrical steel dome tip for terminal penetration. The steel core provides better weight balance and improved accuracy, while the long polymer skirt helps to stabilize trajectory. The innovative and aerodynamic shape of these pellets allows for maximum velocity, giving you some seriously high-powered hunting pellets. 100-count blister pack.